Picking an A+ Topic on ! 1 DVD · 1 hr. 22 mins. 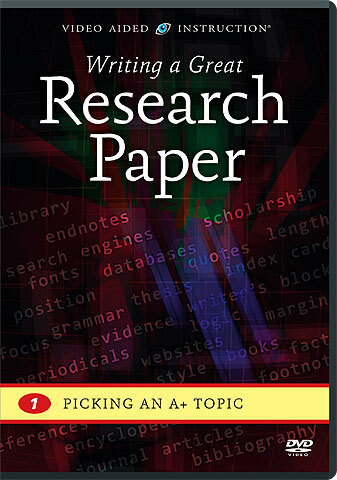 Selecting the right topic for your research paper is a crucial first step toward earning a high grade. In this superb program, you’ll review the fundamentals of academic writing as you discover the secrets of choosing that elusive “perfect topic”! You’ll learn to narrow your focus from a broad subject to a manageable topic, then from an intriguing research question to a strong working thesis.